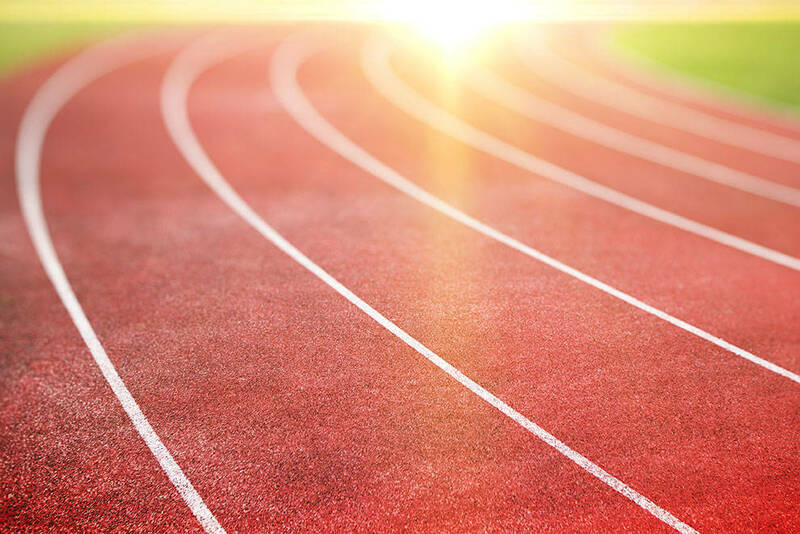 David Warren won the triple jump and helped a pair of relay teams to second-place finishes to guide the Mojave boys track team to a first-place finish in the Grant Bushman Invitational in Overton. Warren covered 44 feet, 3¾ inches in the triple jump and ran on the runner-up squads in the 400-meter and 800-meter relays. Mojave’s John Harper tied a meet record by clearing 6-8 to win the high jump as the Rattlers finished with 130 points. Desert Pines was second with 123. Pahrump Valley (70½), White Pine (49½) and Moapa Valley (46) completed the top five. Desert Pines’ Jamel Brown swept the hurdles, winning the 110 in 15.11 seconds and the 300 in 40.16. He also ran a leg on the winning 400 relay team as the Jaguars won all four relays. The Jaguars’ Darnell Washington won the shot put with an effort of 49-10 and was second in the discus. Lincoln County’s Noah Smith won the 100 (11.18) and 200 (22.6). In the girls meet, Natalie Mills won the 300 hurdles in 49.71 and ran on the winning 800 and 1,600 relay teams to help Moapa Valley to victory. The Pirates’ Hannah Watson won the pole vault by clearing 9-3 and ran on the winning 800 relay team as Moapa Valley racked up 137 points. White Pine was second with 112, followed by Mojave with 86½, Virgin Valley with 81½ and Boulder City with 54½. White Pine’s Lily Fullmer won the 100 hurdles in a meet record 15.68 and the triple jump with a mark of 33-6¾, and teammate Madison Rick won the long jump (15-10) and high jump (5-2). Virgin Valley’s Macee Bundy won the 200 (27.09) and 400 (63.01). The Meadows’ Ellen Hirsberg set meet records in winning both the 800 (2:19.47) and the 1,600 (5:17.45). Mojave’s Jasmine Kaufman won the shot put (32-10) and discus (114-1).